From the producers of Rise of the Footsoldier and Fall of the Essex Boys, and starring Danny Dyer (Vendetta), Martin Kemp (The Krays) and Gary Kemp (The World’s End), ASSASSIN is the brutal, hard-hitting story of a former hitman out for revenge. A story of the most corrupt crime bosses in the London underworld, and one man’s crusade to bring them to justice. A killer for hire (Dyer) breaks the rules of his profession when he falls for a beautiful young woman. But when the most notorious gangland brothers in London (Martin & Gary Kemp) hire him to kill his girlfriend’s father, his world breaks down and he must turn against his notoriously fearsome employers and their gang to save the woman he loves. 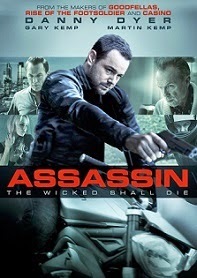 Don't miss the chance to see Danny Dyer give a career defining performance when ASSASSIN is released on Blu-ray, DVD, and Digital Platforms on March 9th.